This brief book is elegant and surprising. It opens with an essay by the incomparable El Fadl, an Islamic law professor at UCLA, about tolerance in Islamic theology and among Muslims. He effectively disposes of the terrorists' intolerant interpretations of Qur'anic passages by arguing that a more accurate interpretation would acknowledge the verses' historical contexts and note that they contradict other passages in the Qur'an that are both more tolerant and more central to Islamic practice. The book's second section consists of 11 responses to El Fadl's essay by such notable figures as professors Amina Wadud and John Esposito. The book closes with a follow-up response by El Fadl, reflecting on the opinions of his co-authors. The overall effect of the three sections is quite unexpected; the reader becomes engaged in a dialogue with each writer, realizing with each essay the complexity of the problems facing modern Muslims. The major point that emerges is that while Islam is theologically tolerant of non-Muslims, individual Muslims themselves may harbor intolerant views that they unjustifiably read into the Qur'an, which El Fadl condemns as eisegesis. In two astonishing essays, respondents Tariq Ali and Abid Ullah Jan persuasively argue that the West is actually sometimes intolerant and has taken "advantage of Islamic tolerance to force Muslims into greater subservience." 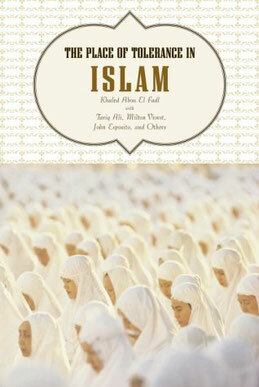 Most of the responses are very innovative and represent a step forward in Islamic theological analysis. This lively debate makes for a quick and informative read.